A key to nutrition is making sure you are getting enough fruits and vegetables. Certain studies show that fruits and vegetables that are “in season” are packed full of more nutrients. They are also known to be full of more flavor. This is because of their ability to grow in certain peak conditions. As your loved one grows older, their health and wellness is prime. Making activities like grocery shopping fun and informative is a great way to keep them motivated to make healthy eating choices. Even the National Council on Aging advocates for healthy eating that adapts as you get older. They include fruits and vegetables as something to keep incorporating into your plate. While you or your loved one should always consult with a doctor on your specific nutritional needs, incorporating some simple habits is good practice for anyone. Something that is both fun and provides you or your loved one with an incentive to look into healthy eating, is determining the fruits and vegetables that are “in season”, as mentioned above. This is where home care assistance can be of great service. A home care assistant can take the time to sit with your loved one and do some simple searching on the types of fruits and vegetables that are in season in your area. 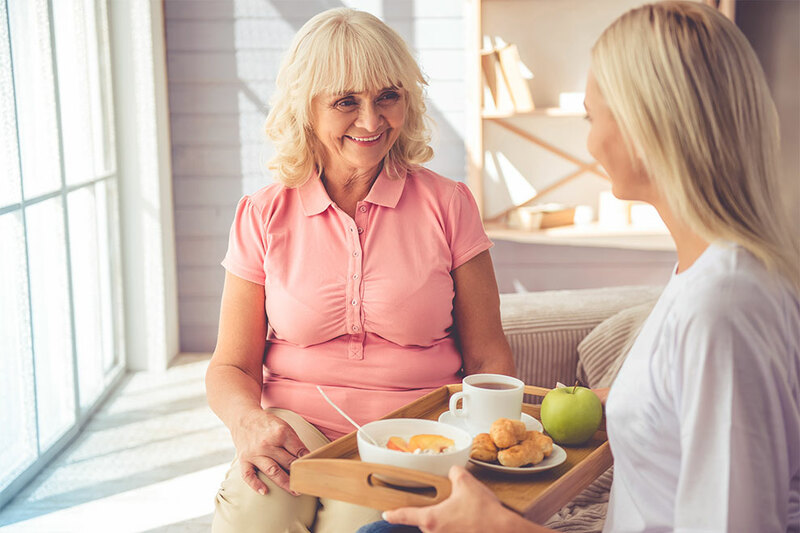 A home care assistant can also provide help with getting to and from the grocery store to make these healthy changes possible. Furthermore, home care assistance can provide that support, encouragement, and time for your loved one to incorporate change. It’s about your loved one wanting to make a certain change, and having someone there that can support them. Because in season fruits and vegetables are packed full of more flavor and can be full of more nutrients, it’s this small change that can mean healthy choices your loved one makes in the long run. If the fruits and vegetables taste better, it makes it more likely they will go back and choose healthier options when they can. Sometimes all it takes for us to make a change is knowing that we have some sort of support. If grocery shopping has gotten harder, or even if your loved one feels alone and without constant support, it’s likely that they won’t make necessary change in their lives. Furthermore, In-home care services provide your loved one with consistent service that you might not be able to. A home care assistant that is meant to provide senior services can there for your loved one throughout all the little details. Home care aides provide support in things as simple printing and helping create new recipes with those in season fruits and vegetables. As a premiere Chicago home care agency, HomeCare Powered by AUAF has caregivers available that can meet and support the needs of your loved one. We understand that support through little changes can mean all the difference for your loved on. If you have any questions or want to learn more about our services call us at 773.274.9262.